Are you sick of paying too much interest? If your credit’s improved since you drove your car home from the dealer, it’s likely you could get your car payment lowered by refinancing the loan. Even if you don’t get approved for a lower rate, you could still see lower payments by merely extending the term of your loan when you refinance. If your car payment is single-handedly running your paycheck dry, you might consider exchanging your ride for something a little more used, but way more affordable. Be careful though. If you want to get the most money for your wheels, selling privately is a much better way to go than trading in at the dealership. If you’re leasing, chances are you’re already getting a lower monthly payment than you would if you owned. However, when it comes to leasing your ride, there’s no end in sight. In this case, you might be better off dropping your lease to buy something more affordable that you can pay off in a few years. Just be sure that your credit and your wallet are ready to buy a car before getting rid of your lease. As mentioned, car insurance companies are always in competition with each other, putting you in the front seat for more savings. So, don’t hesitate to shop. The insurance companies are there to serve you, not the other way around. Just a little smidgen of your time could result in big money saved. Try it. What have you got to lose? To maximize your savings, it helps to research all available discounts; good-driver discounts, homeowner discounts, car discounts, loyalty discounts, etc. If you’re in a certain occupation (a school teacher or engineer), you could qualify for a discount there too. A clean driving record saves money. You can order a copy of your driving record from your local DMV and check it for any violations, outstanding tickets, etc. With a clean driving record, you could easily qualify for more savings. Collision coverage is fine to have if your car is worth fixing up after an accident. But if your ride isn’t worth it, it’s not worth having collision coverage either. Drop it from your policy and save more. Raising your deductible will save you money on your premiums. Talk to your insurance agent today to find out how much you can save by raising your deductible. Drive moderately: Don’t drive like you’re being chased. Driving nice and easy saves lives and gas money. Lay off the gas: Speeding won’t get you anywhere. Do the speed limit. You’ll still get to where you’re going in good time and your gas will last longer. Use cruise control: If you’re on the highway, using cruise control is better than keeping your foot on the gas. Turn the A/C off: A/C uses up gas. Turn it off and drop the windows. Turn your car off: If you’re parked, don’t leave the car on. Turn it off whenever you’re idle. If you’re driving a huge truck or SUV, you’re probably paying too much for gas. Swapping out your monster truck for a modest 4-door sedan will save you a ton of cash at the pump. Smartphone apps make saving and budgeting easier than ever. 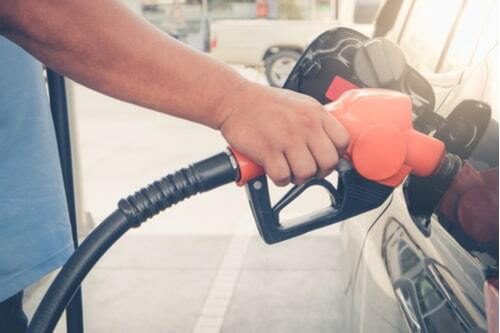 Use GasBuddy to find the cheapest gas prices in your area. 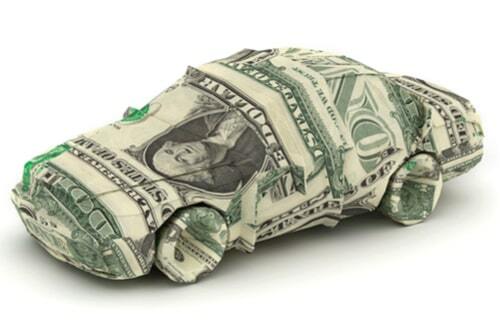 Saving money on car expenses isn’t about major overhauls. It’s the small decisions that make a big difference. So, study these tips and apply them to your auto habits today so you can start saving for tomorrow. Learning different ways to save money is great for your financial wellness, but you can’t always see what’s up ahead. With that said, financial emergencies happen. They happen to everyone. It’s a pothole in life’s highway that you almost never see coming until it’s too late. 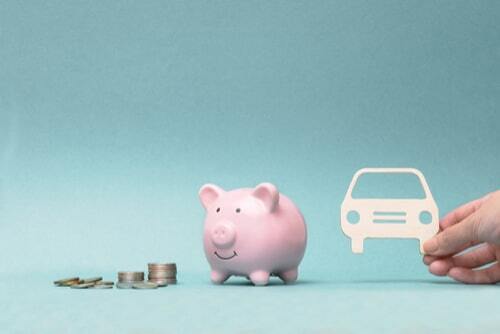 If a financial pothole put a flat in your savings, an auto title loan could help you get back on the road. To learn more, contact a lender near you today.